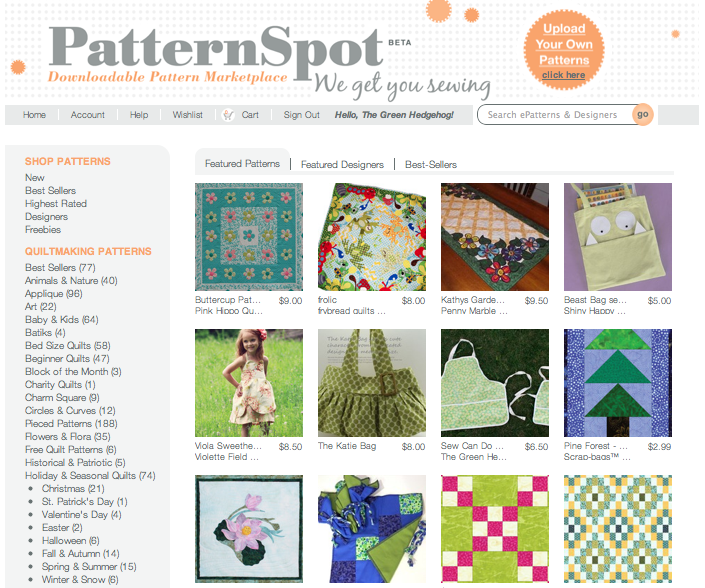 PatternSpot.com is a new online marketplace for downloadable quiltmaking and sewing patterns. 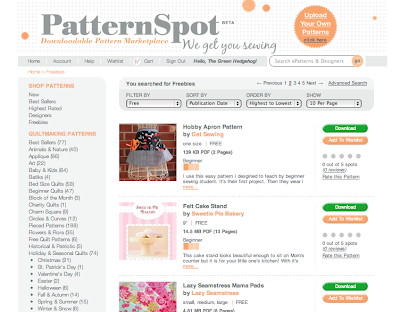 They have almost 1000 ePatterns from over 100 top Designers, ready for you add to your cart & get sewing! There are lots of FREE ePatterns too! 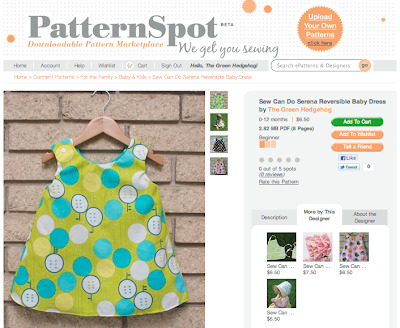 I heard about PatternSpot.com a few months ago and love the concept. 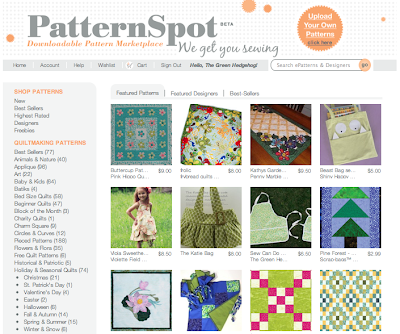 It's a place to find all sorts of great patterns from a wide range of designers - much easier than surfing all over the internet trying to find new patterns. Just purchase, download and you're ready to start sewing. And you can sell your own patterns there as well, so if you've always wanted to get started selling your own designs, here's the perfect place to start! There are loads of great categories and it's easy to search by theme, type of item or designer. It's also very easy to get your own items uploaded and ready to sell. I've started an account there and the step-by-step process makes it simple to get your designs listed and ready to be viewed by the ideal audience. You can also subscribe to their helpful eNewsletters. There's one tailored for shoppers with giveaways and offers and another for designers with sales and marketing tips. So why wait? 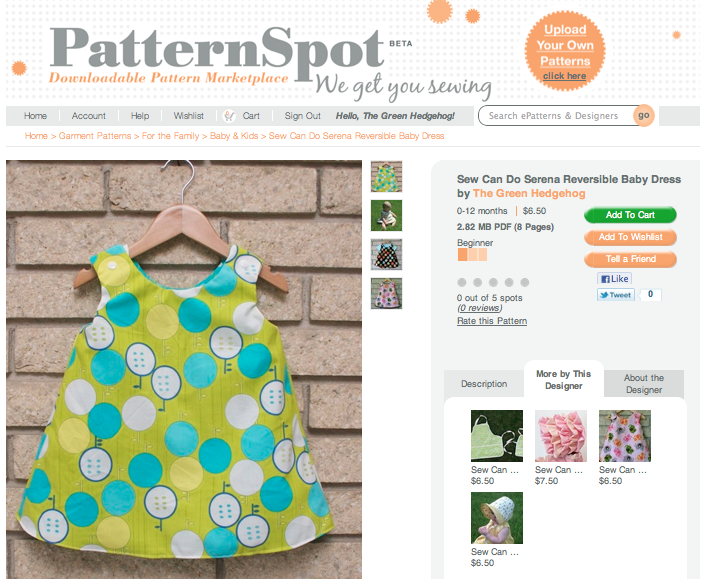 Head over to check out PatternSpot.com and share the love of handmade! This is a gret tip. Thanks for posting this! I was just trying to find sites with patterns.